Can this film critic live his life 100% by The Bible? Can a sitcom get anything right about The Bible or film criticism? We'll find out in the latest episode of Canceled Too Soon (the show where we review TV series that lasted only one season or less), because we're reviewing the recent television failure "Living Biblically!" This short-lived sitcom, based on a non-fiction book by A.J. Jacobs, takes a different lesson from The Bible and takes it 100% literally every single week, with a dramatically overqualified cast desperately trying to make the wonky high-concept work. 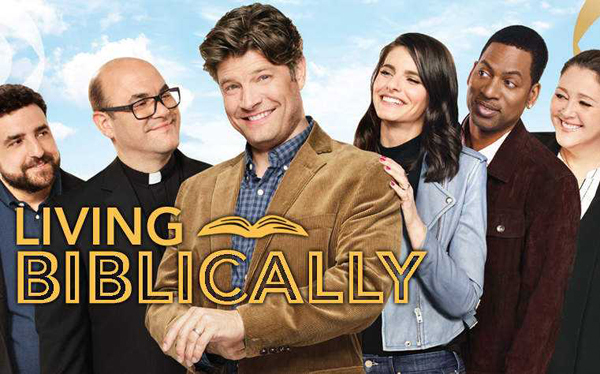 Was "Living Biblically" canceled too soon? Listen up and find out!